Growing up in Michigan, Brent played all the typical American sports: baseball, football, basketball and even a season or two of soccer. During the warm Michigan summers, Brent enjoyed fishing on the local rivers and lakes, camping in the state’s forest or spending time at Lake Michigan. He started skiing at a young age, quickly got hooked and winter became his favorite season. By the time Brent entered high school, he had focused on two sports: downhill ski racing and mountain bike racing. While he didn’t have any big mountains nearby, there was a small ski area, and Brent basically grew up on those hills. Some years, he clocked up to 100 days a year on the slopes starting with early season fake snow up until the last runs in the spring on mud and grass. Outside of school, every waking hour was fixated on those two passions and most of his friends were the same. While very athletically gifted and focused, Brent didn’t spend his childhood dreaming about becoming a professional athlete. His interests were in the sciences, possibly biology or medicine. He considered being a doctor but saw all those years of school as daunting. 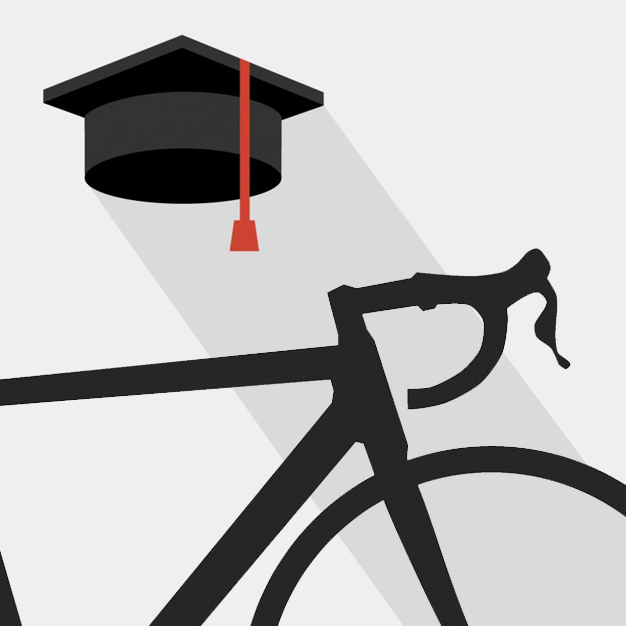 As he advanced academically, his interest in bike racing equally grew. While out on rides, he dreamed of racing at the Tour de France and mountain bike world cups or representing the USA at the Olympics. Yet he had no idea how to turn those dreams into reality. Instead of having a clear drawn out plan, Brent simply kept racing and pushing himself on the bike. He thoroughly enjoyed being on the bike and was motivated to find his limits. At Lees McRae College, Brent selected biology as his major because he enjoyed learning about the environment around us. Eventually, he was drawn more specifically to the human and physiological side of biology and focused on learning and understanding what occurs within our bodies. He still maintains this interest and is intrigued by the miracle of the human body and mind. While Brent was at LMC, Jamie was attending the University of Tennessee in Chattanooga on a running scholarship. Some injuries forced her to step back from running, so she picked up the bike. The two met while competing at collegiate races but each was dating someone else, and they went their separate ways. Following graduation in 2007, fellow cyclist Ally Stacher (now Murphy) put Brent and Jamie back in touch as they were both rehabbing from injuries; Jamie was recuperating from a running injury, and Brent was recovering in Michigan from a near career-ending leg fracture. A slew of Facebook messages followed, and once Brent regained the ability to walk without crutches, he headed back down to North Carolina to cheer Jamie on when she returned to racing. Fast-forward to November 5th, 2011 and the two married in Cosby, Tennessee just outside of Great Smokey Mountain National Park. The location is not too far from Ashville, North Carolina—one of the two places Brent and Jamie now call home. Brent and Jamie split their time between Asheville, North Carolina (USA) and Girona, Spain. The two places have numerous similarities: both are naturally beautiful, small to medium cities and the inspiring and captivating local areas make them feel like home. In Asheville, Brent has the surrounding Blue Ridge Mountains--his favorite place in the world to ride, explore and immerse himself. The lush green forest, the rich humid smell and the rolling Smokey mountains that stack on top of one another and go on forever give him the motivation to get out and train. Yet it’s the likeminded people with similar interests and values of cherishing and enjoying the natural world around them that really makes Ashville special. As a contrast to the natural beauty of Asheville, Girona provides a picturesque old medieval city complete with a rich culture and history. Brent loves exploring the city and feeling like a kid running around in an ancient castle. The breathtaking views of the Mediterranean Sea are a contrast but equally as memorizing as anything Brent sees in the Appalachian Highlands. The Girona community is a unique mix of local Catalans, who bring a different perspective but similar interests and passion to life, and a huge contingent of professional cyclists. Those other pros—a combination of teammates and guys who ride for other trade teams—are all on the same wild ride of being professional bike racers. They have highly demanding training and racing schedules and also travel the world and live out of suitcases, so it is nice for Brent to share the ups, downs and occasional struggles of being a professional cyclist. Brent and Jamie split their time between Ashville, North Carolina (USA) and Girona, Spain. The two places have numerous similarities: both are naturally beautiful, small to medium cities and the inspiring and captivating local areas make them feel like home.